Node voltage method is based on Kirchhoff’s laws for electrical circuits. In this example, Kirchhoff’s current law (KCL) and Kirchhoff’s voltage law (KVL) equations will be written. In the next step these equations will be transformed to create node voltage method equations. Node voltage method has advantage over branch current method because number of equations to calculate is smaller. 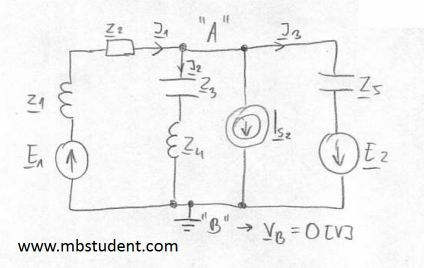 Application of node voltage method for electrical circuit which is built with two current sources and one voltage sources. Circuit has also four resistors in its topology. In solution voltage source will be transformed to virtual current source. 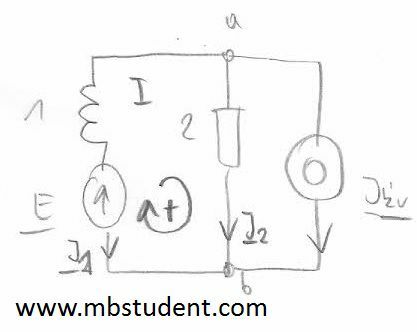 Application of node voltage method for AC circuit which is built with one current source and one voltage source. Circuit has also resistor R, capacitor C and inductivity L in its topology. 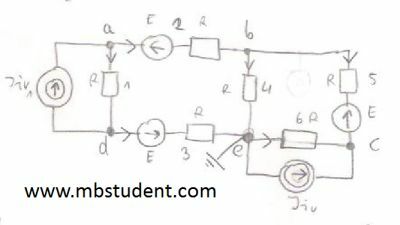 Application of node voltage method for electrical circuit which is built with two current sources and one voltage sources. Circuit has also four resistors in its topology. 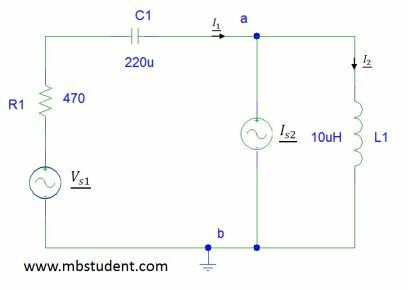 Electrical circuit contains two sinusoidal voltage sources and one sinusoidal current source. Circuit has in its topology also passive parts like resistor, inductivity and capacitors. Node voltage method will be used to calculate branch currents. 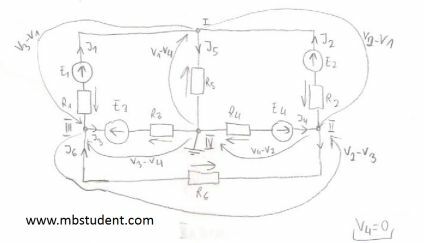 Application of node voltage method for AC circuit. Electrical circuit is built from: voltage source, current source, inductivity and resistor. In example solved below is also comparison of node voltage method with mesh current method.